The Richmond district is a massive neighborhood of parallel and perpendicular streets with its southern border meeting Golden Gate Park and the Presidio to its north. With the Pacific Ocean at its west, the area is known for its heavy fog and brisk weather with a wind chill factor unique to its location. Two commercial strips cut through the heavy residential area, along Geary Boulevard and Clement Street. And although not in close proximity to San Francisco’s famous Chinatown, the area has an extremely large Chinese population and is renowned for some of the best Chinese restaurants in all of San Francisco. Historically, the area was made up of rolling sand dunes and not developed until after the 1906 earthquake as replacement housing. Known as the Park-Presidio district until 2009, today the Richmond has evolved into a largely residential, but also budding commercial, neighborhood with a combination of family-owned storefronts and cafes and a vibrant selection of dining, as well as a vast selection of karaoke bars. 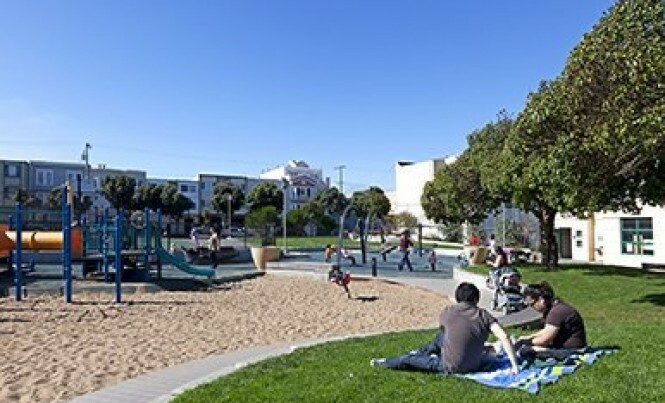 Central Richmond is home to the historic Argonne Playground established in 1926, whose many renovations have earned it a reputation as an outstanding gathering spot for families with both toddlers and older kids. Also within the neighborhood borders is Fulton Playground, home to an active community center with a clubhouse that hosts a variety of programs and classes. Central Richmond is a residential haven with an optimal location, perfect for enjoying the best of what San Francisco has to offer.